I am a reluctant writer when it comes to the issue of trials and tribulations. Like everyone, I’ve had my share of disappointments and setbacks. But to be honest, I don’t like them. But in recent months my wife and I have closed the pages on one chapter of our lives, only to start a new one, a chapter we never thought would be written—at least not yet. We find ourselves saying to one another and to God, “What about all the dreams we had for our post-retirement years? What about the things we wanted to do before we finally arrived in heaven? Are you there, God? Do you care?” I’m sure you have asked similar questions. I won’t go into the details regarding our change of plans. That will be for another day and another post. Suffice it to say that our most recent experiences have forced me to think again about trials, afflictions, and suffering more than ever. Yes, the question I keep raising is the proverbial, “Why is this happening to us? Why do we have to go through this experience…NOW?” When we ask those questions, all too frequently the heavens are silent, and God seems very far away. I say far away until I come to hear God’s voice in the reading of Scripture. That’s where our text comes in. And we discover that God is focused on an altogether different question—HOW? How should we respond when trials and difficulties enter our lives? Read the text several more times. I want you to see what the inspired author is doing. Although we often dismiss the opening words of New Testament letters as if they are insignificant, what James says in verse 1 is important. He identifies how he sees himself, and how he sees his readers (v. 1). He is a “slave of Jesus.” His readers are people who have been dispersed from where they really want to be. They are not only scattered, they are “afflicted, suffering people.” And then notice that he has a rather shocking view of their trials. They are to view these unwanted intrusions as “joyful” events (vv. 2-4). Finally, the author’s statement about how to view trials is followed by an exhortation to call upon God for wisdom (vv. 5-8). Writing under divine inspiration, James provides us with a very important perspective on life. I am finding it to be true for my life, and I pray that you will embrace it as well. That is, WHEN TRIALS COME, SEE THEM AS GOD’S TOOLS FOR YOUR SPIRITUAL TRANSFORMATION. Yes, the focus is on what God wants to do in our trials. But we are not passive participants in this process of change. So what is our role? What must we do if the trials of your life and mine are to become God’s means of making us more and more like Jesus? At least three things can be seen in this passage. First, trials become God’s tools for spiritual transformation when we see where we are. Look again at verse 1 and read it carefully. The people James was addressing were “dispersed” people. They were most likely Jewish believers in Jesus the Messiah, who were scattered to different parts of the Gentile world of that day. But life wasn’t over for them. They were the ones who would proclaim the gospel in the very places where a Sovereign God would put them. As for James, he didn’t see himself as an elitist or one deserving of special treatment. He identified himself as a “slave of God and of Christ Jesus.” He was sold out to the King of the Kingdom and whatever He wanted. And that must be our perspective as well. Yes, trials and afflictions enter our lives, but they can be instruments of transformation when we see where we are—living in a fallen world as representatives of King Jesus. That’s not all. If these difficulties in our lives are to be transformative, we also need to see God’s purposes in the trials. 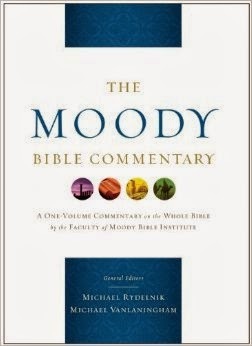 You will want to notice the author’s flow of thought in verses 2-4. After making the shocking appeal to “consider it a great joy” when trials come, James says that these trials have the potential to produce endurance and maturity. The “maturity” to which he refers is the change in a person’s life that reflects the character of Christ in all that we do. That’s God’s goal for us from day one of our Christian experience. He wants us to be more and more like our Savior in word and deed. Finally, difficulties can be God’s means of transforming us when we see the powerful resource God has placed before us. The text does not say that we will escape trials. Instead we are told that if we lack wisdom—the inability to know what to do in any given trial—God will give us the guidance and insight we need. He has given us the resources of prayer! The only stipulation placed on this promise is that we must not doubt the promise of God. We must ask the Heavenly Father what to do in our difficulties, and He promises to answer. I don’t know a single person who signs up for trials. Do you? We don’t like them. In fact, we try to do everything we can to protect ourselves from life’s difficulties. But God has a different plan. He wants to use our trials to make us like His Son. They are His tools for spiritual transformation. So will you let Him? Will you walk with Him, and allow Him to make you the person He longs for you to become?